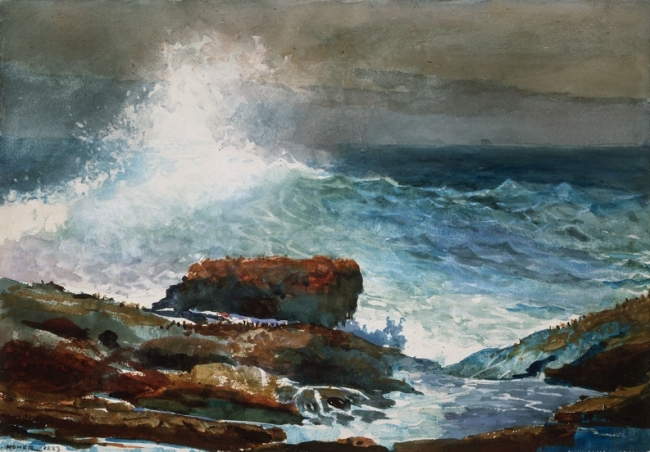 “Incoming Tide,” watercolor on paper, by Winslow Homer, 1883. I make a place out of my body for you to live, out of the twigs and mud under my skin. I make it so that the sun hits our eyes first thing in the morning. I make it so that the birds have somewhere to rest, and the plants somewhere to make a jungle of their own. It moves with me, this house. 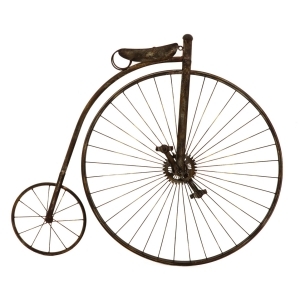 It’s not very steady; it gets disheveled in hurricanes and raw in the snow. It tilts and shrinks when my mind is heavy. Our things roll and slide at every storm, and we nail them to the floor together. We can fix this, you say, it’s all about the right distribution of matter and space, of the bricks and mortar. You lick your finger and smooth out the wrinkled wallpaper like you do the odd tufts of my hair. The unknowable, you say, like space between those beams and space between the atoms, might be the largest place in the world. A non-soul of the matter of us. So let’s try something. Let’s move and live by the sea, you say, and we go and we take the house along. We like how water is all that we don’t know. And because we can rest in the absence of things, we grill something nice on our floating porch until the smoke tickles the house and we burst out laughing. The sun dims on us. It’s the perpetual dusk of the edge of the earth, you joke. We look as the dark waves shift beneath. As they flow by the creaky floorboards and lap at the windowsills. You point at a swallow’s nest underneath the eaves and call it good luck. The house swells keenly like lungs. The sea holds my body, our body. And it’s a body that now is, at last, the largest place in the world. Clio Velentza’s work has appeared or is forthcoming in Wigleaf, (b)OINK, Lost Balloon, The Letters Page, and Noble/Gas Qtrly, among others. She lives in Athens, Greece and is a winner of Best Small Fictions 2016. Find her at @clio_v.